When you join EPIC you become a part of Club EPIC, our exclusive rewards and loyalty program. 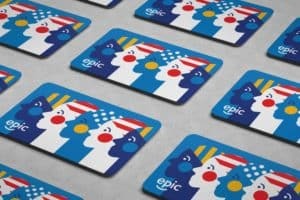 Club EPIC is an online rewards portal that offers an easy way to save on a huge variety of retailers, restaurants and travel offers. The range of benefits provided is just one of the ways we aim to make EPIC a great place to learn, work and reward you for your efforts. The Club EPIC portal works by purchasing online gift cards at a discounted price. Gift cards are then used to complete the purchase in-store. You can access the discounts and offers anytime from your mobile or tablet device. For each purchase you make, you earn points which you can then use to save on leading products and brands in the eStore. When you have your first meeting with us, ask about Club EPIC! We can then set you up with an account so you can start shopping and redeem points.